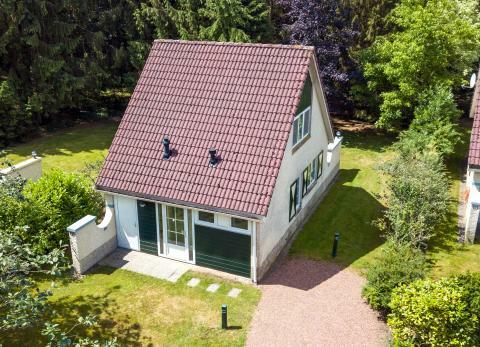 Roompot Vakantiepark Hellendoorn in Hellendoorn - the best offers! This price applies to 6-person cottage DL1, with the arrival as 27 May 2019, 2 Nights. 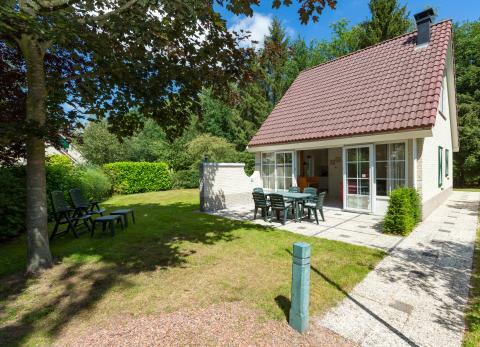 This price applies to 6-person cottage DL2, with the arrival as 27 May 2019, 2 Nights. - 100% of the total booking amount is due on or before 56 days after booking. Pets are always on request. Please make this clear when booking, and the park will take it into consideration. At the foot of the Sallandse Heuvelrug National Park, known for its extensive heathlands, you’ll find Roompot Vakantiepark Hellendoorn. The park is surrounded by beautiful forests and is an ideal spot for young families, cyclists and hikers. Nature lovers will be at home here in every season. A lot of thought has gone into all of the facilities at this park: from the excellent restaurant to the breakfast service, and to the indoor swimming pool. There is also a sauna, sunbeds, and a bicycle rental service. You can also participate in various activities, including mini-golf, petanque and beautiful walks with the help of a compass! During the school holidays, there is an entertainment programme for children up to 11 years of age. Activities include cosy crafts, cookie-baking, or dancing at the kids’ disco! Cozy crafts, baking cookies or just swinging in the grownups! There is even a horse-drawn wagon tour for adults and children, taking the whole family on a journey through the stunning surroundings. There is also a large playground in the park for children, and a table tennis table, volleyball court and basketball are. If they’re still looking for activities, they can swim in the small lakes and build sandcastles on the beach! You can enjoy a cosy atmosphere and a delicious dinner at Restaurant Tante Stoof. You can choose from the seasonal menu or taste some traditional Dutch pancakes. For the little ones, there are several children’s menus. While you relax after a satisfying meal, the children can play in the playground next to the terrace. The area offers numerous opportunities for pleasant, active and cultural trips for the whole family. From the park you can walk directly into the unique nature of the Sallandse Heuvelrug National Park. There are various cycling and hiking maps available at reception. Surprise the children with a visit to Hellendoorn adventure park, or visit the cities of Deventer, Zutphen or Zwolle.